First of all, stuff what is “drag racing”? In the simplest terms, drag racing is a sport where two vehicles compete side-by-side in an acceleration contest. Both drivers race in a straight line from a standing start to a finish line 1/8 mile away. The first to cross the finish line wins the race. Competition is part driver and part machine. No special skills are needed. In the sport of drag racing, any licensed driver can participate. 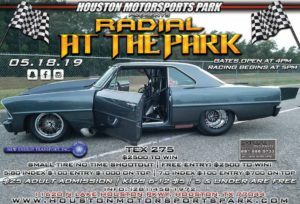 Kids as young as 8 years old compete in Junior Drag League events and some as old as 90 race at local tracks nation wide in weekly programs. Driving skills improve with each race. The full performance capabilities of a vehicle are tested while a driver learns a vehicle’s characteristics. A drag race is started using a device called a “Christmas Tree” that stands 42 feet ahead of the start line. As the vehicles approach the starting line the drivers are signaled to stage their vehicles and start the race by watching the colored bulbs light up in sequence. Each side of the “tree” has two small yellow bulbs at the top that signals a driver when the vehicle is on the start line. The first bulb lights when the vehicle is almost on the line, “pre-staged”, followed by the next bulb lighting as the vehicle moves forward to “staged” position on the line. The “tree” has three larger amber colored bulbs on each side followed by a green bulb and then a red bulb. Once both vehicles are staged, the “tree” is activated and the first amber colored bulbs on both sides of the tree light up. Then ½ second later the next amber bulb lights up while the first amber bulb goes out. Another ½ second later the last amber bulb lights up. And one-half second later the green bulb lights up signaling the drivers to start the race. While both vehicles may leave together on the green light, a driver’s reaction time from when the green comes on will become a factor in the race. If one vehicle remains on the starting line after the green comes on, the other vehicle will gain an advantage making it possible for the slower vehicle to win the race. The total time of the race for each lane is recorded and announced as the elapsed time, or E.T., followed by the top speed for each vehicle. The clock starts when the vehicle leaves the start line, not when the green comes on. The reaction time is recorded separately to show how long a vehicle waited to leave while the E.T. shows how long the race was. Adding these numbers together as a “package” will show the mathematical winner every time. After the vehicles exit the track, they return to their pit area using the return road. Racers can stop along the return road at a station called “Time Slips” where a track official will hand the driver a printed slip that shows his times. The speed on the return road is limited to 5 m.p.h. First, prepare for a day at the drag races. Bring only the essentials including: a camera or video (for bragging rights), folding chairs to be comfortable in the pits, helmet (required if car is quicker than 8.6 seconds & ALL motorcycles), long pants, shoes and sleeved shirt (for drivers). Also, if you don’t want to leave something back in your pit space while you race, leave it at home. Check your vehicle for safety. You will be asked at the gate if you want to race or watch. Racing participants pay $20 (car + driver). 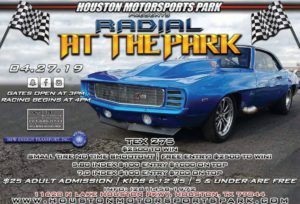 You will receive a “tech card” and you’ll be directed to the “technical inspection” lanes where your car will be checked for the basic safety items. Fill out the card, open your hood and trunk for inspection. Once the tech inspector is done checking your vehicle, he will sign it off allowing you to go to the next step at racer registration. All drivers must show a valid state driver license, and sign a liability release form before being allowed to race. You will be given a wristband and a “run-card” that shows track personnel that you have successfully completed the technical inspection/registration process. Finally, a number is applied to the windows of your vehicle using a white “shoe polish” like marker. That number is used to identify and group the competitors to race control personnel. You the racer, can now go find a pit space to claim as your own for the day. Using cones, tires or chairs to mark a space is common and acceptable, however you must be careful not to block fire-lanes or park in someone else’s pit space. While it’s acceptable to work on vehicles in the pits there is no draining of fluids allowed. Vehicles on jacks must use jackstands. Anytime the vehicle is running a licensed driver must be in the driver seat with all safety equipment in place. The speed limit on the return road and all pit areas is 5 mph (Total complex, except dragstrip). When only a small number of racers show up at the track the “staging lanes” will be open to all racers at the same time. However, when a large number of racers show up on race day, the lane calls will be made by groupings. The groups will be called depending on the nature and format of the event. In example, if about half of the cars are imports and the other half are domestic cars then the call may be made by these groupings. Other times the groups will be made by car numbers…cars with 300 series numbers, then 400 series and so on. When your group is called you may proceed to the rear of the “staging lanes”. Be sure to bring your run card and have all loose items removed from the vehicle. As you drive into the rear of the staging lanes a track official will ask for your run card and direct you to a lane. This allows the track officials to verify that you have been through tech inspection and to give drivers some instructions if needed. When you get to the front of the staging lanes another track official will again ask for your run-card. He will punch a hole in it to show that you’ve made a run and he may even do a quick check for safety items on your vehicle. He will then direct you to the starting line area of the track. The area directly behind the starting line is called the “water box” and is designed for heating the tires to maximize traction. A track official will signal you to stop when the drive tires are in the water box. On his signal you may “powerbrake” the vehicle to spin the tires for up to 5 seconds. Properly done, the tires will heat up from spinning and start smoking as you allow the vehicle to move forward out of the water box. A burn-out is not required and it’s not even necessary for most tires. Vehicles that use racing slicks benefit the most from a good smoky burnout because the hot tires will provide maximum traction on the track. Immediately after the burnout you may stage your vehicle on the starting line. Once both vehicles are staged, the Christmas tree will be activated to signal the start of the race. A good race will result if you’re able to prevent the tires from spinning, drive straight and let the engine rev to maximum r.p.m.’s before shifting. It’s common for drivers in quicker cars to “feather” the accelerator to keep the tires from spinning. Excessive spinning of the tires will result in lost traction, slower speeds and can even cause you to lose control of the vehicle with disastrous results. If you feel you’re spinning or losing control you should let off the accelerator and try racing again later. After your run, pick up your “time-slip” and return to your pit area. Relax and compare your times with others, make any needed adjustments before your next run. Your time slip will have your vehicle number, the class you’re in (if applicable) and the incremental times of your run. The first number is your dial-in printed as “R/T”, followed by your 60′ time, 330′ time and finally you’re 660′ time printed as “E.T.”, and your our top speed. Another number prints below as “MOV” which shows the mathematical margin-of-victory for your race. Sign the “RELEASE OF LIABILITY” form. Street racing is not drag racing.Full Concessions, Fuels & Nitrous Available.